THE TAOISEACH HAS managed to keep his photography costs down to less than €6,000 so far this year – a stark contrast to the €83,000 a year being spent in his department in 2008. In response to a parliamentary question from Fianna Fail TD Robert Troy, Kenny said a total of €5,908 has been spent so far this year. He said the use of local agencies has been cost efficient and increasingly, his department uses its own staff to take photographs in-house. The increasing prevalence of selfies is likely to have helped too. Some of the spends on photos this year so far include extra prints of the Queen and President Obama visits in May 2011 for a ‘Taoiseach Photgraphy assignment’, costing a total of €956.94. Kenny’s trip to Dubai left him with a photography bill of €2,696 though just €244 was spent on photos during his stay in Japan. The Taoiseach said that the “use of local photographers on international trade missions is required to distribute images to the domestic media to accompany the coverage of domestic journalists who are travelling on behalf of their organisations”. Over the course of the EU Presidency, over €38,000 was spent on photography as images from every event or meeting had to be distributed by a host photographer around the world. Kenny pointed out that the costs of this services were negotiated to keep them as low as possible, “substantially cheaper” than other presidencies. 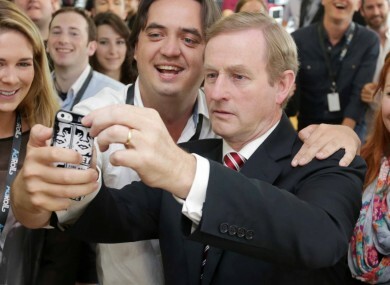 Email “The Taoiseach's been keeping his photography costs down this year”. Feedback on “The Taoiseach's been keeping his photography costs down this year”.